Podcast #18- 237 Days to Go! Podcast #18– Click here to listen to this week’s podcast- Rudolph the Red-nosed Reindeer AND Gloria the Groundhog? We start with a quick recap of the week’s highlights. We move right into a discussion about picking the perfect name for our Christmas Groundhog. What name will we pick? Will our groundhog maybe be Russian? (Insiders know how I love Cheburashka) Our main focus is on Rudolph. The little reindeer that was born as a Department Store promotional product has grown to be one of the most beloved Christmas icons- right up there with Santa himself. Of course we discuss the 1964 television special from Rankin & Bass too. This annual animated gift added so much more to the basic tale of Rudolph: best friend, love interest, danger, intrigue, travel, rescue, and more! Enjoy and let us hear what other Christmas songs or traditions you want to hear more about. Remember that on the 25th of each month we will be revealing one of our secrets for the perfect Christmas in 2012. 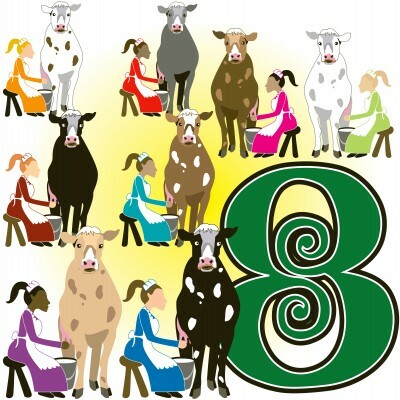 Today we reveal Secret #8- Christmas is not the time to bear a grudge- forgive! Better late than never! In the excitement to discuss all the friends of St. Nicholas I completely lost track of the date and missed posting this on the 25th. Keeping track of all our holiday fun can be more that one post a day can handle. This secret to a perfect really gets to the heart of the spirit of Christmas. It is a perfect time to forgive and if nothing else to forget. Far too often in today’s hectic lives families can drift apart. Divisions and arguments from the past can grow into year-long avoidance and even estrangement. Christmas is the best time to put those differences to rest. Include everyone for the party. Don’t forget to extend Christmas dinner plans to your cousins, uncles, aunts, sisters, brothers, parents, and even children. Use the happiness and kindness of the season to bridge the gap and start fresh. It may end up being only a short reprieve from whatever trouble you were having, but it may end up being the start to a new time of happiness for you! Nothing ventured, nothing gained. Forgive! Remember in the movie Home Alone when Kevin finally talks to the scary neighbor man? The neighbor shared about how he spent Christmas alone and didn’t get to see his son or grand-daughter due to a fight years ago. Kevin convinces him to call them and try to make up for the past. The end scene of the movie has Kevin looking out his window to see the neighbor man, who isn’t that scary anymore, walking up to his house with his grand-daughter and son. Cue the sentimental musical score and grab the tissues. Christmas might be able to fix just about anything. My nephew experienced his First Communion today, and we were invited to the celebration. I spent part of the afternoon digging out paper, ribbon, and tape to wrap his gift. I started thinking about my (and most Americans) wasteful wrapping habits. I love to wrap Christmas presents, and I go out of my way to make the packages fancy with paper, bows, ribbon and more. Our unwrapping traditions used to include my mother’s painstaking removal of tape and slow peeling back of the paper so that the sheet could be ironed and re-used. I don’t remember when that behavior, which I remember teasing her about at the time, evolved into throwing the paper away. Probably the increasing numbers of grandchildren had some influence, but now I’m re-thinking that earlier careful behavior. According to Earth.911, half of the 85 million tons of paper products Americans use and discard are packaging, wrapping and decorating goods. Also, wrapping paper and shopping bags alone account for about 4 million tons of trash annually in the U.S. During the holiday season, the amount of trash increases 25%. Gift wrap was first invented in the early 1900’s and distributed by Hallmark. (Here’s a link to the history for more reading on the subject.) The paper was made possible by the invention of the flexography process which combined very fluid inks with rubber plates wrapped around the print cylinder to make a printing process ideally suited to coarse or stiff papers that were durable enough for wrapping. Also, Victorians began using decorated paper for cards, wallpaper and more. I love the rolls of paper more than gift bags (which didn’t become popular until the 1980’s) The easy answer for saving on paper waste is to wrap the gifts in something else, a basket, a jar, a bowl, something clever. I know that one year, my sister-in-law wrapped all of her gifts in burlap bags tied with red ribbon. I saved that oversized bag for years, waiting for the exact gift to fill it. Wrapping paper is not easily recycled. I fold mine neatly and put it in bags every year, but now I’m wondering if it does get recycled when it leaves my curb. 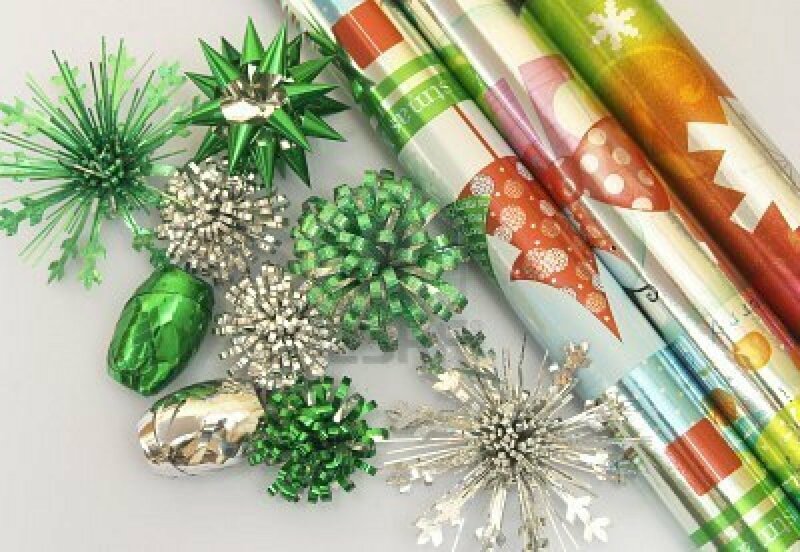 According to Recycle Now, the paper is often dyed and coated or has non-paper additives, like gold and silver glitter. If it is thin, it may not have good quality fibers for recycling. Also, there’s the problem of tape leftover from the gift wrapping. My mom has been wrapping various boxes and their lids with good-quality paper and then re-using these boxes year after year. The paper is never torn off. Some people even record inside the lid who received the box and what gift was in it as a way of making a game out of re-using the same box. The answer is not easy. I’m going to look further into opportunities to recycle wrapping paper and try to buy only paper that has been recycled or can be recycled. Any other suggestions? Last post I focused on St. Nick’s companion the Belsnickle. Turns out there is a little more to this story (thanks to some readers for sharing). The Belsnickle is also a type of American craft item. 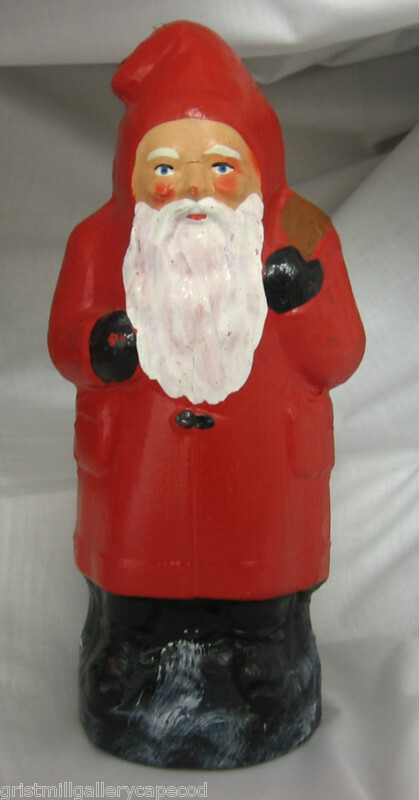 The Belsnickle is an old world Santa Claus figurine crafted from papier mache. They are of German origin and date to the early 20th century. Originals from the period are very rare and can be quite expensive. Here’s one found on antiques.com- Pink Belsnickle. Today you can easily find affordable recreations. These Santas are popular with the craft crowd and the technique is used to make snowmen, reindeer, and even Easter bunnies. I will be looking more closely into these crafty creations (maybe Natalie and I will make some). Check out how a woman transformed her life when she discovered these figurines and how to make them. Linda Lindquist Baldwin randomly found a book at a yard sale and 25 years later is one of the most well-know makers of the art. You really can discover greatness at a yard sale! It’s significant that the author, a wealthy minister and New Yorker published the poem anonymously and did not claim authorship until 1938. 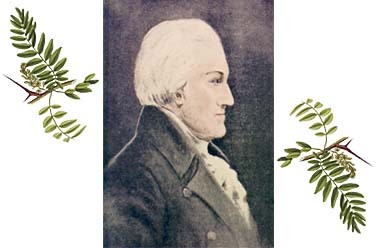 In his book Author Unknown (published 2000), English professor and forensic linguist Donald Foster made the case that the poem was authored by Henry Livingston, Jr. Descendants of Henry Livingston, Jr., a gentleman poet of Dutch decent who lived in Poughkeepsie, NY, claim the poem for their ancestor, but its author was already dead when Moore took credit. Those relatives solicited Foster’s help because Foster has a reputation for being a literary sleuth. Early in his career, Foster identified a previously unknown poem as Shakespeare’s, and, even though that claim has since been refuted, Foster has been involved in other, more recent literary puzzles, including in 1996 helping to solve the mystery of the anonymous author of the political best-seller Primary Colors. The argument about Livingston’s authorship is convincing and detailed. I have included links to two documents supporting the Livingston authorship. A lot of the discussion has to do with the origins of the names of two of the reindeer, Donner and Blitzen (which mean Thunder and Lightening in German). The original spellings were Dunder and Blixsem. Here are two links that explain Livington’s claims and the names of the reindeer. When I sing the song, I have incorrectly said Donder, and now I know why. 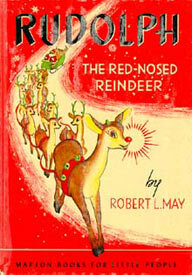 The updated 1837 published version of the Moore/Livingston poem uses the spelling Donder while the “Rudolph the Red-Nosed Reindeer” poem updates the name to Donner. 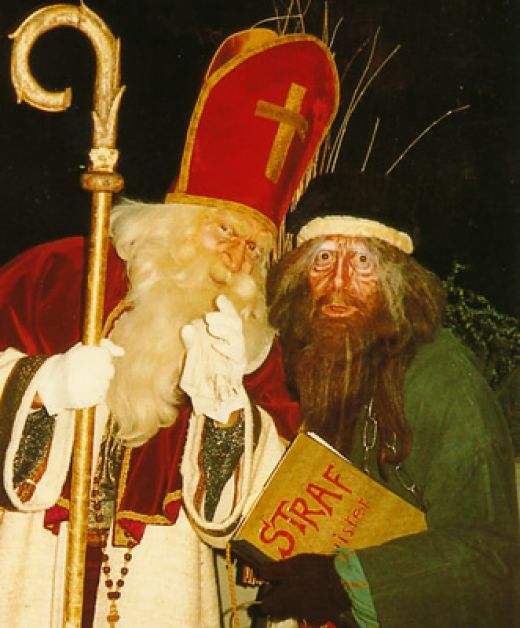 He was known as Kriskinkle, Beltznickle and sometimes as the Xmas woman. Children then not only saw the mysterious person, but felt him or rather his stripes upon their backs with his switch. The annual visitor would make his appearance some hours after dark, thoroughly disguised, especially the face, which would sometimes be covered with a hideously ugly phiz … He or she would be equipped with an ample sack about the shoulders filled with cakes, nuts, and fruits, and a long hazel switch which was supposed to have some kind of a charm in it as well as a sting. 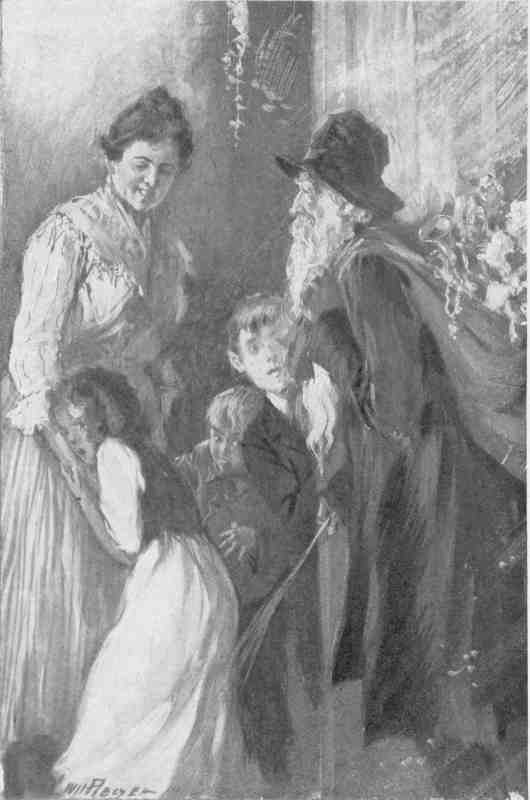 One would scatter the goodies upon the floor, and then the scramble would begin by the delighted children, and the other hand would ply the switch upon the backs of the excited youngsters – who would not show a wince, but had it been parental discipline there would have been screams to reach a long distance. Krampus and these other helpers are certainly scary and sometimes do bad things. 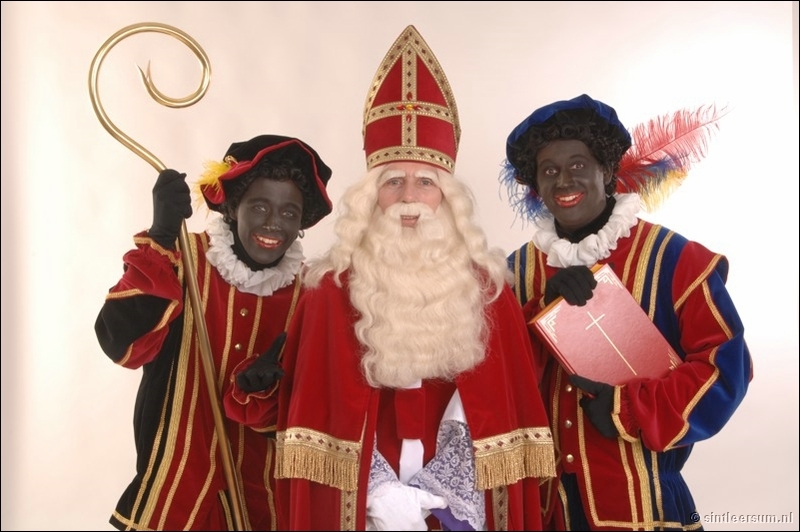 St. Nicholas needs these helpers to “scare” the children. Not too different from some of our traditions (Elf on the shelf?) but definitely a darker side. I’ve been listening to a book on tape, The Man Who Sold America, about fascinating Chicago personality, Albert Lasker, 20th Century’s inventor of the marketing campaigns behind many of America’s biggest products. While Lasker may not have been the inventor of Santa, the marketing strategies he started changed the way Americans perceive Christmas. Although they gave away 2.4 million copies, wartime restrictions on paper prevented another distribution until 1946, when 3.6 million copies of the story were distributed. Robert May’s brother-in-law Johnny Marks wrote the lyrics and tune to the song in 1947, and Gene Autry recorded the song in 1949, where it rocketed to #1 on the Hit Parade. 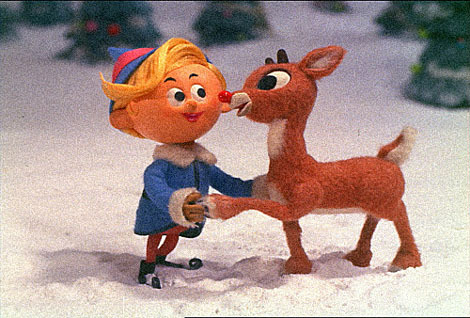 According to the story, May considered naming his reindeer “Rollo” and then “Reginald.” In marketing, the name is everything. It’s nine weeks after Jeremy’s initial idea of casting a groundhog in a Christmas story, and we still don’t have a name for the little fellow. I don’t think we can call him Phil because that groundhog has a weather-predicting purpose and a marketing life of his own. Albert Lasker invented the marketing strategy of a baby naming contest to sell Pepsodent. I think Jeremy and I will have to have a baby naming contest for a groundhog. We don’t have the $5,000 Lasker offered, so we’ll make shortbread for the winner. Grumbles the Groundhog? Gabby the Groundhog? What’ll it be?